A fine evening, lavender sky, stars ready for twinkling bright. 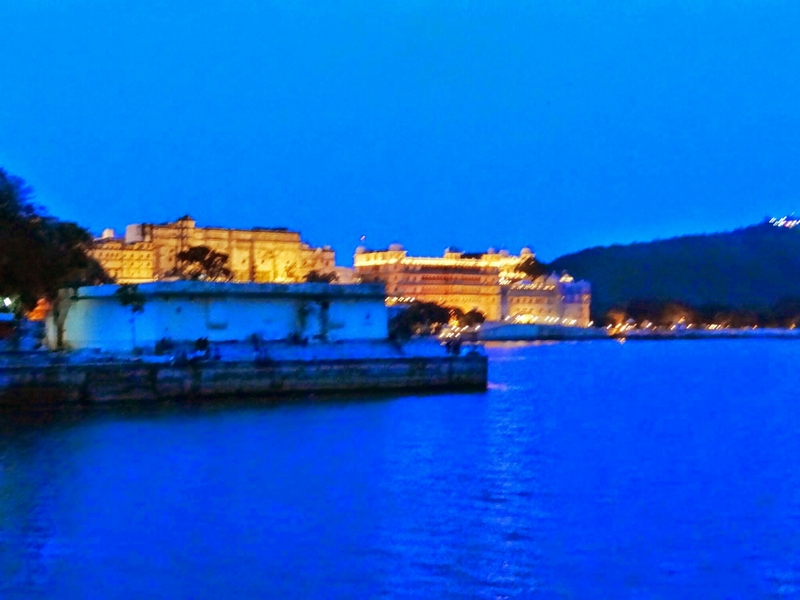 I am staying at the lake side, staring at the magnificent view of The Udaipur palace. Lighten up with golden lights, spreading its reflection on the waves of lake. This beautiful view accompanied by cool breeze and sound of singing birds, can make you forget all your worries. Undoubtedly, Nature has power to heal us and give us new energies, new reasons to live our lives. Soon the view submerged into the dark night, in the shadows of moonlight. I recieved a phone call from a friend asking to get ready for dinner. I was on a short weekend gateaway trip with my friends to Udaipur city. We selected a famous restaurant for having our dinner, that was at walking distance. While walking downstreet i stopped by at a shop full of antique art pieces. There was one lord krishna idol that grabbed my attention. It was silver coated and very beautifully designed. “How much it costs?”, I asked to shopkeeper. “What! Why so costly? What is so special about this idol?”, I asked shockingly. We never know if such stories are true or not. But definately holds our attention. It takes us to another world. I believe every city has its own stories. That is the essence of travelling. Admiring the handcrafted artwork we proceeded towards our destination for dine.